One of the very few people that I follow on Twitter is comedian Wendy Liebman. If you want to take a hard look at a seasoned, professional comedian who can deliver very tight, high impact stand-up comedy material, I would highly recommend that you study this talented comedy entertainer. 1. Her stand-up comedy material has a very broad appeal. That’s a big deal in the world of stand-up comedy (if you want to get work and keep working regularly as a comedian). 2. She is able to deliver clean comedy, suitable for the higher paying comedy markets, while exhibiting the skill to deliver mature comedy material (notice I said mature, not “adult”) with taste and class. 3. Wendy Liebman can literally slaughter audiences without a “manic” delivery style – she has a natural style that is dependent largely upon facial expressions and voice inflection to give her crisp comedy material its laughter generation power. But let’s get down to the brass tacks, shall we? Below is a YouTube video of Wendy Liebman’s performance on the Craig Ferguson Show on Dec 1, 2010. As you know, any time I review comedians — it’s based on their laughter generation ability in front of live audiences FIRST. I don’t focus on the purely subjective determination of what is “funny” that the largely clueless “amateur comedy critics” use when viewing an online video ALONE — without the benefit or influence or audience dynamics. You had best scoot along and make your subjective, unprofessional assessments and comments elsewhere. You will be rejected here with that sort of nonsense. Wendy averaged a whopping 23 seconds of laughter for each performing minute during that set (headliner level stand-up comedy is a minimum average of 18 seconds of laughter per performing minute). 1. 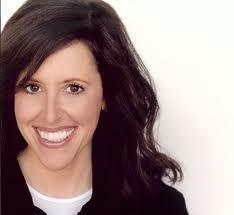 Wendy generated 5-10 laughs per minute – critical for generating headliner level laughter. 2. The average seconds of laughter she generated each minute in this set was 23 seconds. That’s on fire, whether you personally care for her stand-up comedy on a individual viewership basis or not. 3. 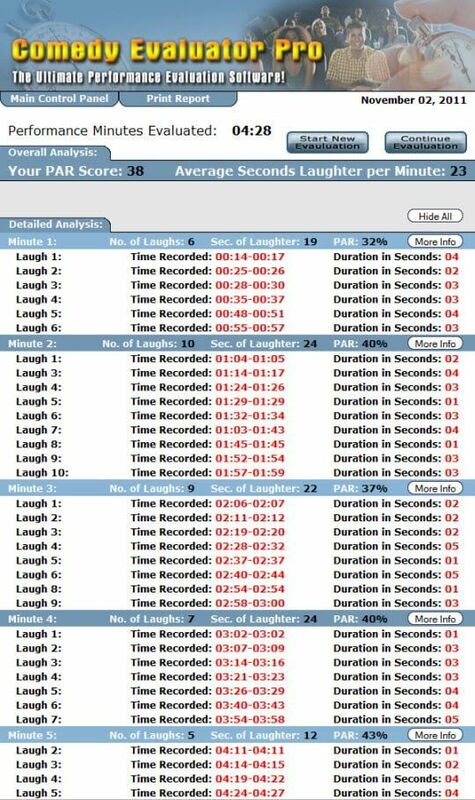 Her PAR Score for this set was 38 (meaning that 38% of each minute was audience laughter). That is far above the minimum for delivering headliner level stand-up comedy material, which is a PAR Score of 30. The bottom line: Wendy Liebman is a top notch comedian and once again, Comedy Evaluator Pro tells the real story. This entry was posted in Editorial and tagged Brian Regan, comedy evaluator pro, craig ferguson, craig ferguson show, professional comedian, stand up comedy, stand up comedy videos, wendy liebman, youtube video by Steve Roye. Bookmark the permalink. Wendy Liebman’s act in the accompanying video was comprised of a series of one-liners strung together in a sort of autobiographical way, and yet she was still able to generate such a high volume of laughter! The “jokes” did not seem all that funny on their own (I imagined reading them as printed text), but the laughter was undoubtedly a result of how she so skillfully used her body language, tone, word choice, pacing, inflection — in short, she employed a variety of communication tools to make her delivery successful. I guess clean comedy can be funny too. I’m surprised she is getting headliner laughter though. Maybe I’m not her target audience. I liked her wit though. My wife laughed more than me, so that whole audience size thing is accurate.